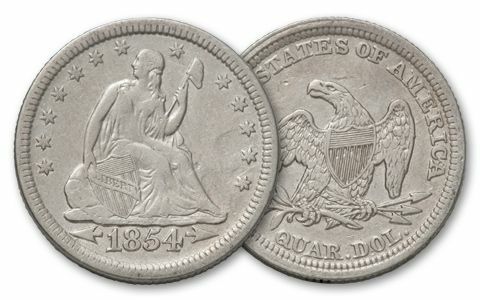 Scarce Seated Liberty Quarters Resurface! 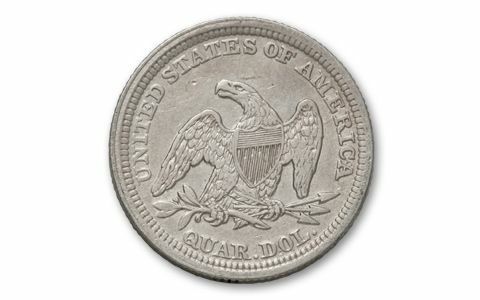 The last time the U.S. Mint struck a 90% silver Seated Liberty Quarter was in 1891-121 years ago! They were the workhorse quarters of the 19th century, minted all the way back to 1838. Depressions, panics and the Civil War took their toll on Miss Liberty-maybe that's why she had to sit down! Few folks today have ever even seen one-let alone in the collector grade of Fine (F) to Very Fine (VF) condition. We stumbled across a rare assortment, and while our limited supplies last, you can get these desirable vintage quarters. Hurry, these are going fast! Dates vary.